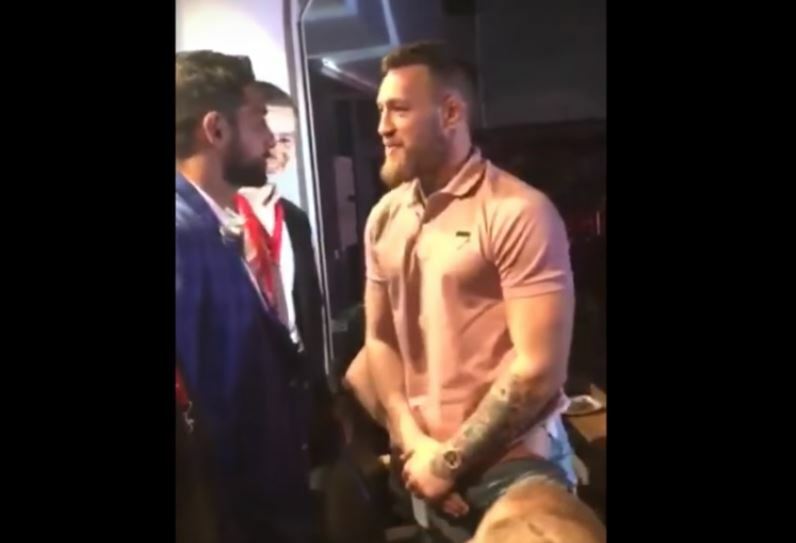 Amir Khan and Conor McGregor came face to face for the first time this past weekend as the two met at a function in Northern Ireland. It was the first time McGregor was seen out in public in some time since his now infamous incident in New York where he threw an object through a UFC fighter bus. McGregor’s court case is due this week in New York where he will find out his legal outcome on the matter. Khan recently had his first fight since losing to Canelo in 2016 and is due back in the ring later this summer against an opponent to be named. Khan has been heavily linked with a fight against UK rival Kell Brook but most likely that fight will not come until the end of the year at the very earliest. More likely is a fight against one of the more well known American names at 147lbs for Khan.